A Jupp Heynckes rocket up the proverbial has brought the very best out of Bayern Munich midfielder Arturo Vidal. 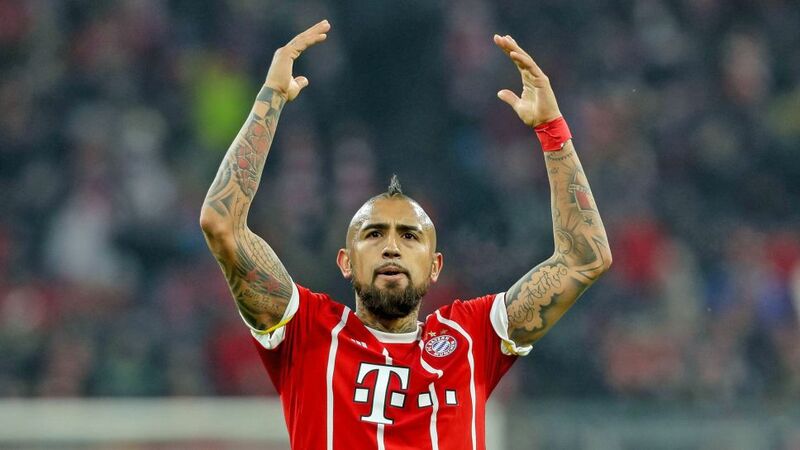 Three weeks ago, Vidal was playing in the last chance saloon, but now - after a string of 'reVidalised' performances - the 30-year-old's place in the starting line-up is virtually untouchable. All it took was a stern crack of the Heynckes whip. "I know what he's capable of from our time at Bayer Leverkusen, and I wasn't pleased with the way he'd been playing at the time I arrived, and I made that absolutely clear to him," Heynckes revealed after Bayern put three past Augsburg on Matchday 12. "I told him if he doesn't get back to form then there are other players who can play ahead of him." Not much chance of that now. Rising to the challenge in true warrior-like fashion, 'King Arturo' is back to his regal best. He scored and produced an assist for Robert Lewandowski against Augsburg, struck again in the 2-1 defeat to Borussia Mönchengladbach and opened the scoring for the seventh time in his career in the 3-1 triumph over Hannover on Matchday 14. Vidal's performance against Hannover epitomised his resurgent form. Aside from from scoring in three successive Bundesliga games for the first time, he ran harder (91 sprints) and weighed in with more shots on goal (seven) than any player on the pitch. What is more, only Kingsley Coman and James Rodriguez attempted more tackles, only James hit the mark with more of his attempted passes and only James and Joshua Kimmich enjoyed more touches. "It means a lot to me to be playing and playing well," Vidal said. "It's why I work." As for his relationship with Heynckes and the coach's expectations, the Chile international added, "We get along well, and I hope I remain in the starting XI and continue to score."